Country Club Hills, IL—(ENEWSPF)— More than 1,000 people attended the wake and funeral for Connie Woolfolk at Leak & Sons Funeral Chapels in Country CluLab Hills Saturday. 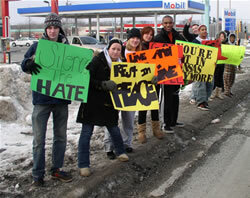 The crowd began arriving before 3:00 p.m. and visitation continued after the 4:00 p.m. funeral. Pastor Curlee Woolfold officiated. 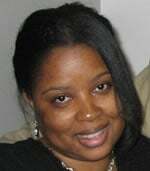 Her obituary states that Connie was born August 4, 1970, the eldest of four children, born to Portia (Lane) Woolfolk and Melvin J. Woolfolk. Connie attended Elizabeth Seton and Crete Monee High Schools. She then attended the University of Illinois at Circle Campus and DeVry Institute. She was united in Holy Matrimony to Victor Rodriguez on September 15, 1990. The couple had two sons, Victor and Maeric. According to her family, Connie “was blessed with a winning personality and an entrepreneurial spirit and has excellend in very career she has chosen, from selling candy out of the family garage to bookkeeping, grant writing for childcare providers, marketing and government employment.” Connie opened a family business with her mother, Mortgages, Etc., in 2006. 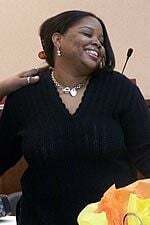 She leaves behind her children, Victor and Maeric and their father; her mother, father and his wife Annette; brothers and Sister-in-Laws Melvin Jr. and Arifah, Aaron and Tonya, Eric and Kenyana, and Malcolm; sister Jennifer; neices and nephews Danielle, Melvin III, D’yonesha, Tamara, Janiquia, Jordan, Elexxus, Dillon, Connor, Eriyana, and Kevin Smith. Additionally, the obituary lists the names of aunts, uncles, cousins, extended family members, friends and co-workers. Woolfolk was one of 5 women killed in Tinley Park on February 2. Police are still searching for a lone suspect in the case. Anyone with information is asked to call the Tinley Park Police Department at 708-444-5394, or the Cook County Crime Stoppers at 1-800-535-7867.